A special issue of Journal of Translational Genetics and Genomics. Associate Professor of Genomics, Director Genomics Facility, Monash University Malaysia, Selangor Darul Ehsan, Malaysia. Studies in Human Evolution is a special issue examining all aspects of genetic adaptation in modern humans. Modern humans evolved in Africa 200 – 300,000 years ago and a small band ventured out of Africa and colonised Eurasia and Americas over the past 100,000 years, adapting to different diets, pathogens and environments along the way. These adaptations involved multiple systems, genes and pathways. The readily detectable genetic signal of adaptation is the classical selective sweep that leaves behind signatures that are identified by examining population differentiation, presence of long range haplotypes or altered allele frequency spectrums, but can be confounded by population demography. 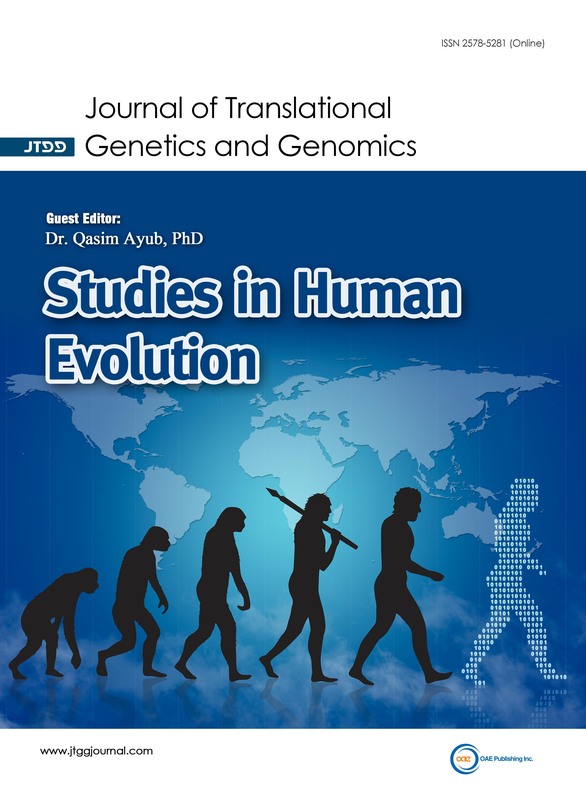 In this issue we will publish papers on our current understanding about evolution in various genes and human populations and hear from leading panel of experts in the field about outstanding issues and concerns.